The perfect cleaning and conditioning product for the bearded gentleman! A beard is a wonderful phenomenon of nature: treat it as such! Col Conk's Natural Beard Wash combines special shampoo, conditioner, aloe and Argan oil designed especially for facial hair. 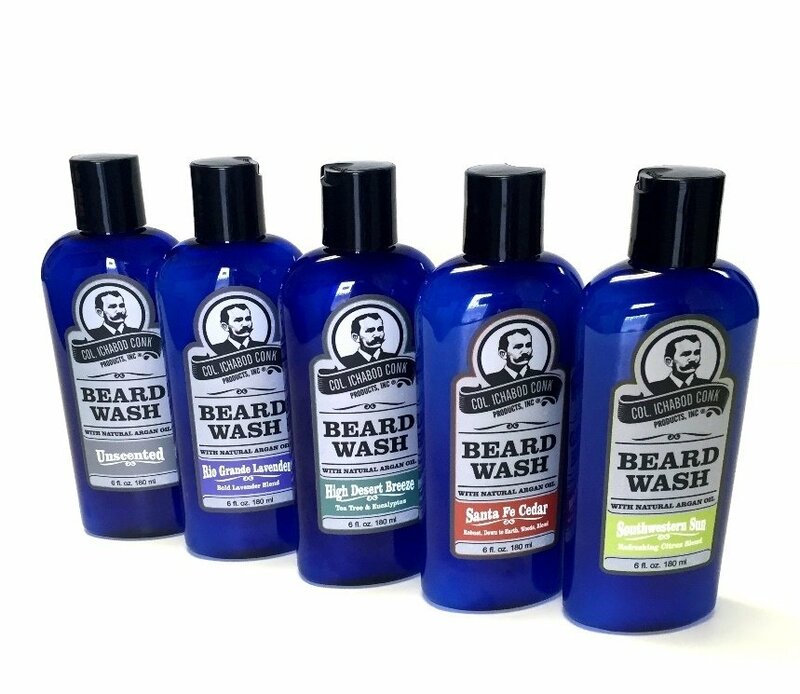 Made by cosmetic artisans in small batches in the US, our Natural Beard Wash moisturizes as it cleanses, not only preserving natural oils but neutralizing any stray or lingering odors facial hair may have picked up. The Rio Grande Lavender scent is created by an exclusive blend of essential oils. This is a Bold Lavender Blend with a little less flower and a little more masculine edge to it! The Southwestern Sun scent is created by an exclusive blend of essential oils. This is a refreshing citrus blend with a crisp, clean fragrance. This is a tea tree and eucalyptus blend with complex undertones, fresh and powerful, yet not overwhelming. Also available in an unscented option.